Rising temperatures could “substantially undermine” export markets across emerging economies, new research from global risk analytics company Verisk Maplecroft finds. The firm’s newly-released 2018 Heat Stress Index assesses countries’ exposure to temperature and humidity conditions. 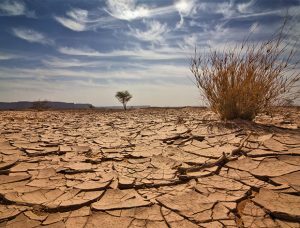 It identifies four regional hotspots expected to bear the biggest economic brunt of rising temperatures over the next 30 years: West Africa, Central Africa, Middle East and North Africa (Mena) and Southeast Asia. In all, 48 countries are rated as being at ‘extreme risk’ from rising temperatures, with African countries accounting for almost half that number. Expected losses all come down to the fact that heat stress slows worker productivity by causing dehydration and fatigue. In extreme instances, Verisk Maplecroft notes, it can also cause death. The risk is therefore particularly high in the agriculture, mining, oil and gas and manufacturing sectors, as work is highly intense and often outdoors. West Africa is the most vulnerable region, given the importance of the extractives and agricultural sectors to the region’s export economy. The research finds that 10.8% of export values from West Africa are projected to be at risk from heat stress by 2045. This compares to 7.9% in Central Africa, 6.1% in Mena, 5.2% in Southeast Asia and 4.5% in South Asia. Using current values of exports, Verisk Maplecroft has translated this into an estimated loss of almost US$10bn per year for West Africa and US$78bn per year for Southeast Asia. Oil outputs from Nigeria and cocoa exports from Côte d’Ivoire and Ghana are “particularly vulnerable”, it says. In Central Africa, Angola and Gabon, where oil accounts for around 95% and 80% of their total exports respectively, are at high risk. The research also points to the manufacturing sector in Southeast Asia as being “under threat”, particularly in Vietnam and Thailand – key exporters of machinery and electrical components – which account for almost two thirds of the region’s total manufacturing export value. Meanwhile, strains on electricity infrastructure from rising demands for air conditioning to combat extreme temperatures will pose a major threat to reliable electricity supplies, particularly in countries that lack robust energy infrastructure. Again, Africa faces the greatest risks of disruption. With the continent’s urban population expected to expand by 235% by 2050, power capacity increases are “unlikely to keep pace with growing demand”, according to Verisk Maplecroft. The impact of rising temperatures could be dire – not just for the exposed economies, but also for global supply chains. “Taken together, the risk of disruption for companies operating in, or sourcing from, affected countries will substantially increase unless climate adaptation measures are implemented,” the company warns. According to Alice Newman, environment and climate change analyst at Verisk Maplecroft, these labour capacity losses could mean price rises for importers if product availability drops or production costs increase. “Supply chain disruption may also drive businesses to consider sourcing from lower risk locations, which would have a major knock-on effect on regional economies,” she says. Verisk Maplecroft’s estimates are calculated based on projected daily temperatures for the period 1980-2045 and data on the current values of exports. The research does not take into account future growth or diversification of export sectors, meaning it could serve as an important reminder of what is to come if exposed countries and companies turn a blind eye to the risk. “Forward-looking companies can mitigate heat stress risk through a range of measures, including sector diversification, changing work patterns, seasonal adjustment of output targets and climate control,” the firm says. But, it notes, such efforts will require “significant investment”, which many developing economies will struggle to mobilise. While this summer has seen Europe gripped by a heatwave, it remains the region most insulated from the economic impact of heat stress. The 10 lowest risk countries for heat stress are predominantly located in Europe, including the UK and Ireland and the Scandinavian countries. The post Rising temperatures to threaten oil, agriculture and manufacturing exports appeared first on Global Trade Review (GTR).